【One-Pack HP 83A CF83A Compatible Toner Cartridge】: Easy to install; rivals the quality of HP toner cartridges; non-OEM. 【Compatible with Printer Models】: HP Laserjet Pro M201dw M201n HP Laserjet Pro MFP M127fw M127fn M225dw M225dn M125nw M125a M125rnw M127fp printer etc. 【Reliable, Cost-Effective, High Capacity】: An efficient, high quality black toner cartridge that will easily meet or exceed common printing expectations. Rated at approximately 1,500 pages of text per toner cartridge. 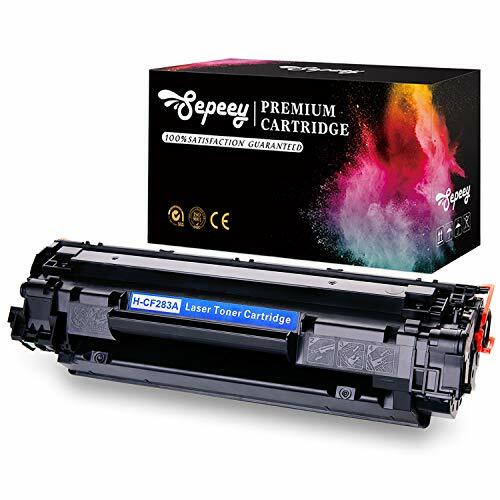 【Offering High Quality Products and Peerless Customer Service】: All Sepeey replacement cartridges are backed by a two year money back guarantee, covering any performance, reliability, or quality concerns, built to ISO9001 and ISO14001 Factory Standards.